Have you found an online vendor selling Punta Cana Muy Viejo? Dejlig sød og let drikkelig rom til prisen, desværre forsvinder eftersmagen hurtigt. Men til pengene, et ganske fint køb. 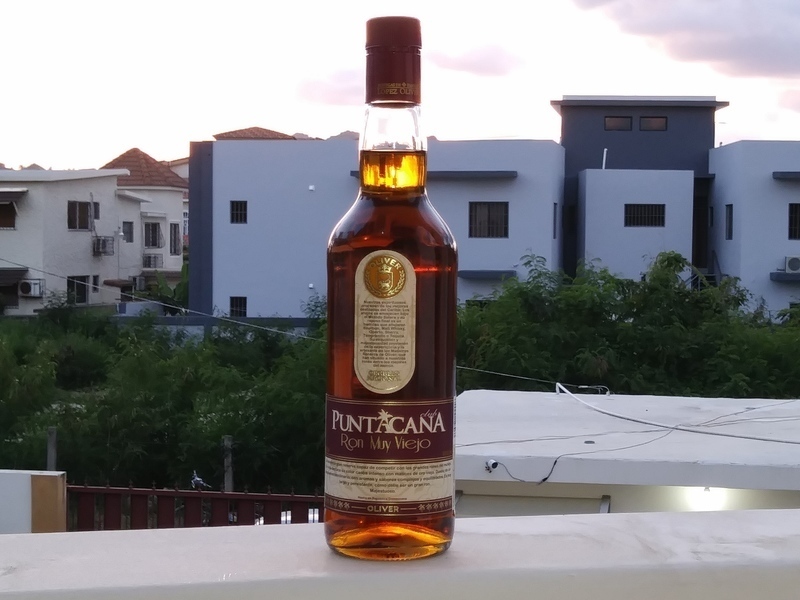 A bottle of Punta Cana Ron Muy Viejo enjoyed in Puerto Plata. Ron Muy Viejo is just 64 Proof which is very easy to consume in a hurry. Bottle and label design are very nice, old school. Surprisingly dark color. Quite sweet to the nose and palate. Borderlining too sweet to be frank. No burn at all. Very surprised how close the Viejo and Muy Viejo really are. They are almost identical. Nu har jeg smagt en del af disse Puntacana-rom, og denne er den mindst anbefalelsesværdige. Den har slet ikke samme dybde og kompleksitet som nedenstående. Výrazně sladký start (i vůně) střídá ostré tělo a dozvuk. Chuť je výrazná a příjemná. Další z rodiny dominikánských rumú. Tentokrát celkem dobrá volba z dobrou cenu. Ocásek je trochu alkoholový a ostrý. Ganske fin rom lidt sød dog uden alt for mange slags nuancer i. En rigtig dame drik. Just found this Dominican rum at a local liquor store! Never heard of this brand before so I was excited to find this treasure! Nice amber color with some nice flavors competing against one another. Nice sipper for $25. Dominican rum is one of the best rums out there...need to try and find other rums in their line. After pretty sweet start comes a bit of alcohol sparkling. Aftertaste looks like it is getting really pleasant but ends way too fast. What a pity. Ein ehrlicher Ron zum mixen oder pur geniessen. Schärfe und Karamell im Gaumen. An honest Ron to mix or pure enjoy. Sharpness and caramel in the palate. A beautifully aged rum. Real smooth and tasty, you can even taste some sugar cane notes in it. If Brugal Extra Viejo is not available this is a good rum for a good price. I don't like so sweet rums that much normally. But sometimes your tongue asks for something sweeter it is ok, soecially if you consider the low price (I payed 13 Euro for it on the Canary Islands in Spain). For the price it is hard to find another sweet rum as good. For a rum from dominican republic it is tasty. Fin og sød Rom, men ikke så fyldig.